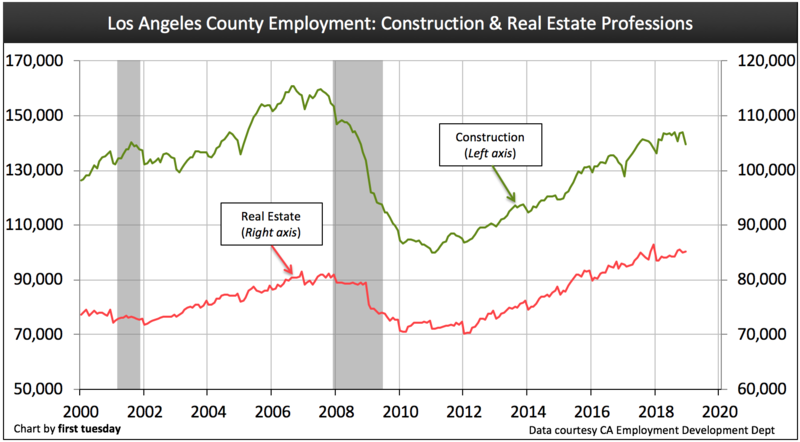 Los Angeles County, hit hard by the 2008 recession, never fully recovered in terms of home sales volume and construction. The good news, LA recovered the number of jobs lost during the recession at the end of 2014. To complete a full jobs recovery LA now needs to accommodate the population growth over the past ten years of about 5%. 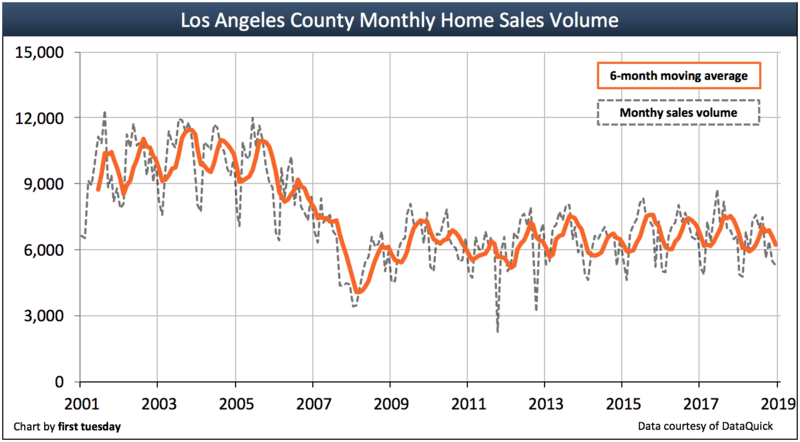 The long home sales volume recovery in Los Angeles County was driven primarily by investors. But the housing market began to show more life from owner-occupants as employment and incomes improved beginning in 2017. Now, as buyer-occupants contend with rising mortgage rates, they have become more cautious, causing sales volume to fall going into 2019. With slowing sales, the Los Angeles housing market is poised for a significant price correction in 2019. This correction will be driven by homebuyers, who will be hesitant to purchase as long as home prices continue to fall heading into the next recession, anticipated to arrive in 2020. 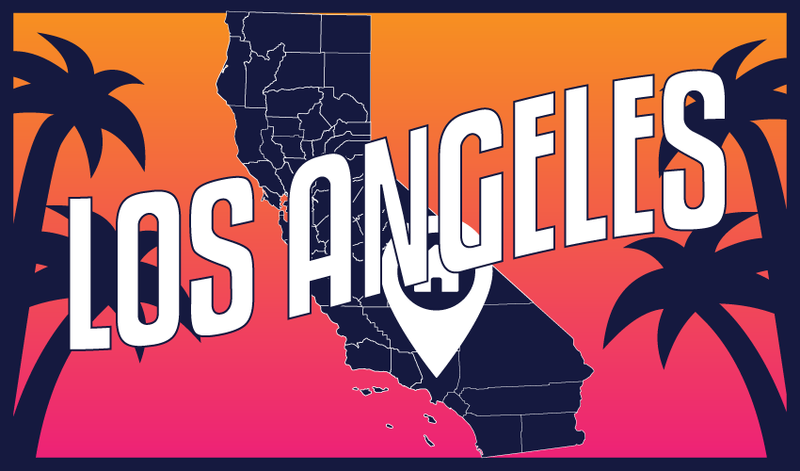 View the Los Angeles regional charts below for details on current activity and forecasts for its housing market. Updated March 5, 2019. Original copy posted March 2013. *first tuesday’s projection is based on monthly sales volume trends, as experienced so far this year. Los Angeles County home sales volume rose slightly in 2017, only to fall back dramatically in 2018. Total sales volume in 2018 was 9% below 2017, translating to 7,500 fewer sales than the year previous. This year’s slowing sales volume was almost as low as in 2014, the slowest year for sales since the county emerged from the 2008 recession and recovery. Looking back, after home sales volume plummeted during the Great Recession of 2008, volume rose briefly in 2009 into early 2010, due primarily to the housing tax credit stimulus and a naturally recurring “dead-cat” bounce at the end of every recession. Sales volume fell back in 2011 for lack of end user homebuyers and a retreat in speculator acquisitions. Home sales volume picked up in 2012-2013 due to the return of heavy speculator activity. During this period, speculators burned through LA housing inventory, particularly in low-tier home sales. At the same time, demand in the form of end users (homebuyer occupants and long-term income property investors) for low-tier homes subsided, driven down by very rapidly rising prices and increased mortgage rates mid-2013. Sales volume continues to feel downward pressure in 2017 as prices continued to rise, far outpacing local income increases. Nonetheless, strong homebuyer demand kept sales volume from declining in 2017, and by the end of the year 1,000 more homes sold than the previous year, an increase of 1%. 2018 saw a steep reversal of this trend, due in part to years of pent-up buyer fatigue and in larger part to rising mortgage interest rates which reduced buyer purchasing power and enthusiasm. A complete recovery of around 110,000 annual home sales will likely occur in the years following 2021, when end user demand in Los Angeles County will be buttressed by a Great Confluence of Baby Boomers and first-time homebuyers who are lured by further employment (needed to accommodate population growth of roughly 1% annually since the beginning of the Great Recession). Residential construction starts will increase dramatically to fill buyer demand as cities within the county open up the permit process by a reduction in zoning restrictions in urban centers that will enlarge inventory counts. Home sales volume depends in large part on homeowner and renter turnover. The number of people moving from their residence each year is indicative of both the willingness and ability of homeowners and renters to relocate. Turnover rates are highest when jobs are abundant, wages are rising, housing starts increase and employee confidence in the economy is high. The most recent trough in Los Angeles’ homeowner turnover rate was during 2008, when California was at the depths of the Great Recession. The number of homeowners relocating increased in the immediately following years, mostly due to turnover on foreclosures and short sales. To that end, LA homeowner turnover is relatively high today with one in 16 homes selling annually. Still, this is below the peak year of 2005 when one in 12 homes sold. With home prices running higher and average turnover dropping, expect homeowner turnover reports to slip further in 2018. Similarly, LA renters are motivated by the area’s exorbitant rise in rents to stay put for the time being, likely awaiting wage increases and inventory enhancement before engaging in the selection and moving process. The homeowner turnover rate will increase significantly once home prices and interest rates align to produce desirable homebuying conditions. This is not expected before 2021-2022, when the additional and necessary factor of greatly increased residential construction will be experienced. Further, turnover rates are likely to rise dramatically across the county in the post-2020 recovery period. This upturn will be fueled by a Great Convergence of first-time homebuyers (members of Generation Y forming households), retiring Boomers buying replacement homes and increased inventory generated primarily by construction starts, but short sales and REO resales will be in the mix. Domestic and international emigrants will play a significant role in the county’s periphery housing — the suburbs. 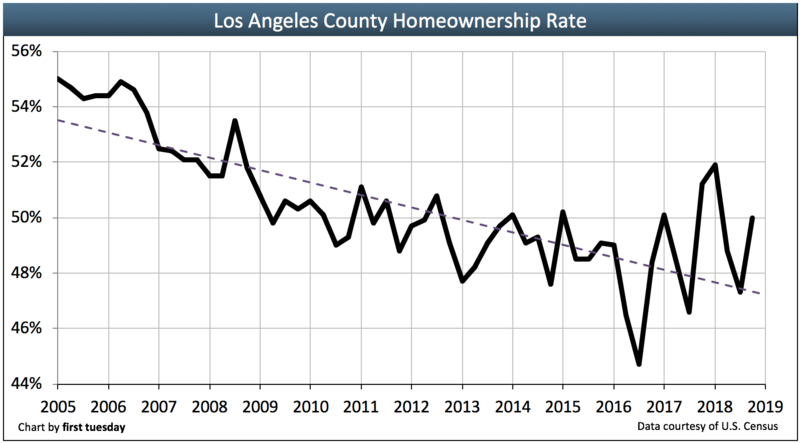 The homeownership rate in Los Angeles County trended downward from the time the Millennium Boom ended in 2007 to its lowest point in Q3 2016 at under 45%. This low homeownership rate has since increased slightly to 50% in Q4 2018. This is still below the 55% figure set at the height of the Boom. The rate will likely remain low until about 2021 as rising FRM rates and faltering prices in the interim drive many owners into negative equity with attendant short sales and foreclosures creating a wait-and-see attitude among buyers. LA County’s homeownership rate has historically been lower than the state average, which was 55% in Q4 2018. 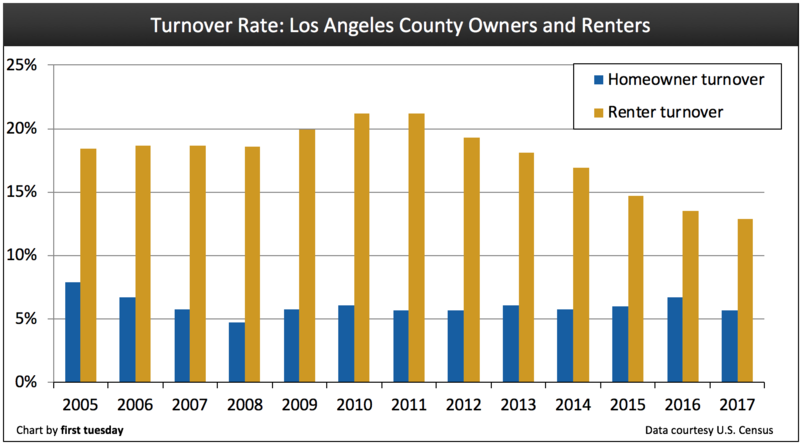 LA County has a smaller share of homeowners since much of the county is urbanized, and renting is a convenience, if not a financial necessity. LA’s homeownership rate today is right around what may be considered a “normal” (pre-Millennium Boom) rate, which was 48% in 2000. Along with the rest of the state, Los Angeles home prices skyrocketed during the Millennium Boom, then plunged to below mean price levels during the financial crisis and have been climbing out of the wreckage ever since. Like in other regions, there was a small bump in prices in 2009 driven by various state and federal economic stimulus programs. The increases proved unsustainable and, without the support of fundamentals, home prices dropped back fully in 2011 to the price level of early 2009. Editor’s note — The coming recession and recovery will not likely see any stimulus programs as builders and lenders will not be less affected due to the very short supply of all types of housing – a contrast with the 2008-2010 period. During 2013-2014, Los Angeles saw another rapid price bump, most significant in low-tier home sales. This rapid rise fell back somewhat in the following years, increasing about 6% each year. Prices continued to rise through much of 2018, but began to drop heading into Q4 2018. At the end of the year, home prices were still higher than a year earlier, but the spread has narrowed quickly as prices have fallen from month-to-month since August 2018. The continued FRM interest rate increase has decreased the principal amount homebuyers are able to borrow while making the same sustainable mortgage payment. History has shown that prices naturally fall 9-12 months following commencement of a sustainable increase in mortgage rates. As a result, home prices have begun their decline, very likely continuing in 2019. Of special concern in 2019, the greater the amount of time prices continue to rise before prices peak and begin their decline the more excessive the drop in prices before they hit bottom. The past several years of excessive home price increases have only enlarged this risk. The most sustainable prerequisite to a long-term and stable rise in prices occurs when end users collectively gain access to sufficient jobs with more competitive wages and adequate new housing starts. 2019 is the likely year for recovery on that front, just in time for the next recession to set in, which is expected by economists around 2020. 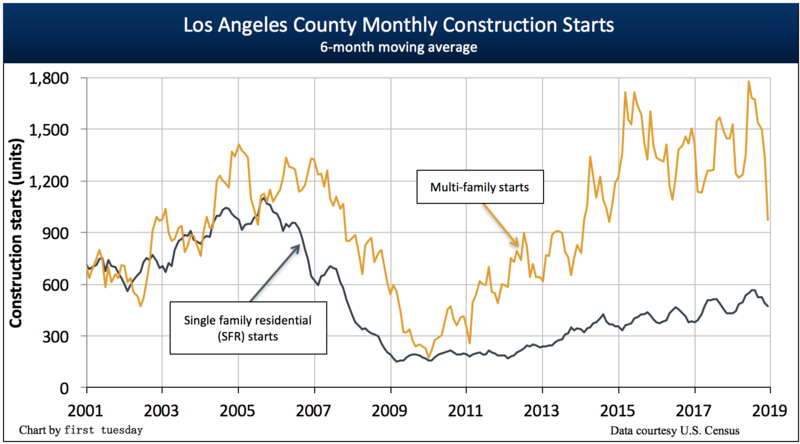 Multi-family construction starts jumped significantly in Los Angeles County at the outset of the recovery, far outpacing the near-flat trend in single family residential (SFR) starts. This is due to the increased demand for rental housing, evidenced by the steep rise in rents, especially in the urban city-center areas of Los Angeles County. Builders know this, the City of Los Angeles is accommodating and lenders are catching on. However, the multi-family recovery is starting to slow, trending more similarly to SFR starts. Following a down year in 2016, 2017 and 2018 saw multi-family starts rise minuscule amounts over the previous years. Meanwhile, SFR starts continued their steady rise, increasing 9% in 2018 over 2017. The next peak in SFR construction starts will likely occur in 2021-2023 period due to a boost from state legislation. Even then, SFR starts will not return to the mortgage-driven peak experienced during the Millennium Boom. However, multi-family housing starts in the 2021-2022 upturn will experience higher levels as last seen in the mid-1980s, which accommodated the arrival of Baby Boomers to the housing market. This time, the need for multi-family housing will be fueled by their Gen Y children — Millennials — before they turn away from renting and become homeowners as they age, no differently than did the Baby Boomers in the early 1990s. Since homeowners and renters require employment to make housing payments (with rare exception), the jobs recovery is key to the housing recovery. Nearly 4.6 million people are employed in Los Angeles County as of December 2018. This is 261,300 more jobs than at the 2007 peak. 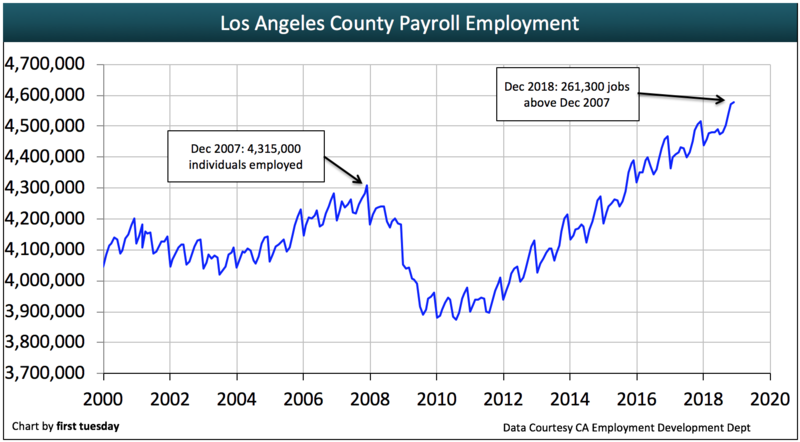 Los Angeles’ jobs recovery rate has slightly trailed the statewide employment recovery in recent years and has begun to slow. From December 2017 to December 2018, the number of jobs grew by a meager 1.3%. This is roughly the same level of job growth experienced statewide. Two out of three of top employing industries in Los Angeles have recovered from the 2008 Recession. The Education and Health Services and Professional and Business Services sectors have experienced steady increases throughout the recovery. However, the greatest drop in numbers occurred in the Trade, Transportation and Utilities job sector, which is slowly nearing recovery. In the housing industry, construction jobs took a huge hit and continue to plod along the path to recovery. Likewise, the number of employed real estate professionals has remained low throughout this recovery period. The number of real estate professionals is increasing very slowly, and in fact has fallen back at the end of 2018. Real estate job numbers will not likely rise to pre-recession levels until the next influx of buyers and renters in the years following 2021. The average income earner in Los Angeles County earned roughly $58,400 in 2017 (the most recently reported Census year). For perspective, this figure is just slightly below the statewide per capita income. 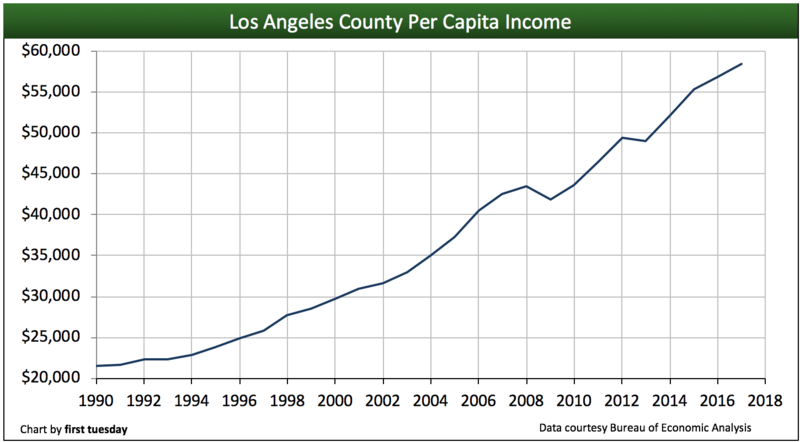 Income per person in actual (nominal) dollar amounts has only recently exceeded pre-recession levels in Los Angeles. However, when considering the inflation (loss of purchasing power) occurring during the intervening years, Angelinos’ wages and wallets still need some fattening up to regain the standard of living experienced in 2007 – around $1,500 more annually is needed to cover the interim inflation to simply match income’s purchasing power in 2007. As long as income remains diminished across most job sectors, increases in home prices and rents are limited. This is because buyers and tenants ultimately determine sales prices and rent amounts — collectively they can pay no more to buy or rent a home or apartment than their savings and income qualify them to. According to the U.S. Census, the average Los Angeles resident with a mortgage pays 51% of their income on housing expenses, as of 2015. Renters pay 52% of their income on housing costs. This high price for housing can’t be sustained at today’s incomes without a long-term drop in their standard of living and a rise in poverty and related homeless or relocation symptoms. 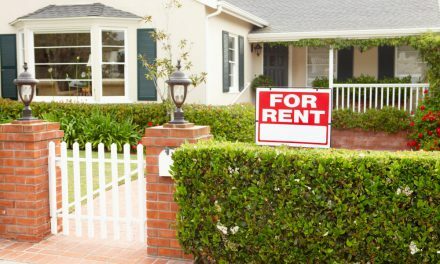 POLL: What percentage of landlords require tenants to purchase renters insurance? 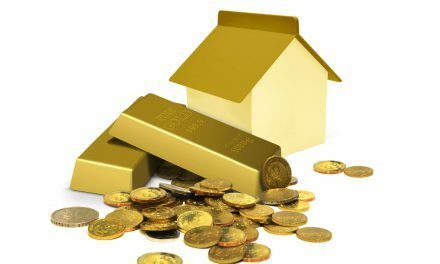 Is real estate really the best long-term investment? Do you feel that the market will dip soon then? i was going to finance using an 7-1 ARM because i was buying a larger home and can not make the 30 year fixed. i am worried i overpaid for my purchase so I’m not sure if I should hold on to it or not. Do you think we should wait and pass on this home? and wait until 2020 or 2021 when the downturn happens? Great resource for Los Angeles real estate investors. Please continue to update. This article covered until 2017. Why some comments was written in 2014? 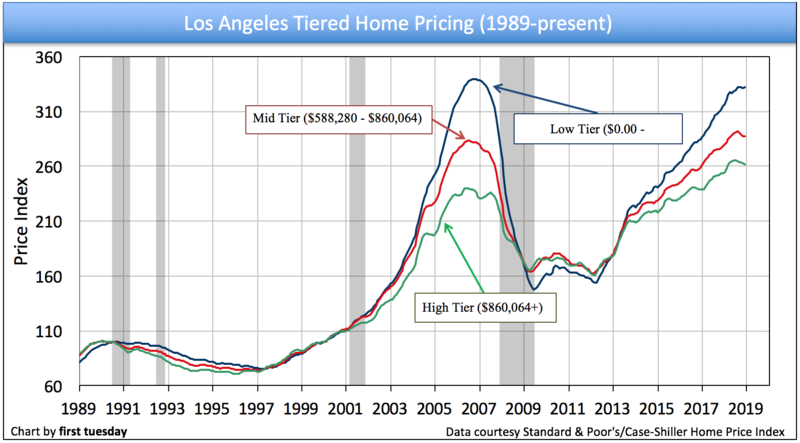 This is an excellent analysis of exactly what has been occurring in the Los Angeles county real estate market. The one thing I would like to see is a comparison of bull versus bear market recoveries from other sectors of the economy. I believe we experienced the classic “dead cat bounce” in 2013-2014. Meaning prices dipped too low and then recovered due to investor activity. Once price equilibrium returned, the investors left the field and we were left with end users, resulting in the dramatic slow down second half of 2014. We now rise again, waiting for the next deflation dip to occur in 2016, after which the market rises again towards 2020. The recovery is a wiggly line, not a straight progression. I imagine there are some research stats from other financial sectors that demonstrate how our market will fare in this recovery. I would like to see that. Would purchasing a home in the current market be a mistake? If you are renting purchasing a home is a good move – you gain control over your monthly housing expense, realize tax deductions for property taxes and mortgage interest. Mortgage interest rates are still low by historic standards, making homes a good investment if you a planning to hold for at least five years or so. 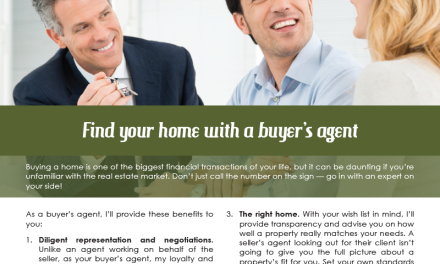 Talking with a real estate professional in your specific area would be the next step. In my market, Burbank – Pasadena, there will be no new housing construction of large scale. Your area may be different. Excellent Pod Casts! My complements!!! Fred… Good Job! Miss you at Coco’s meetings…. Excellent analysis. I’m buying like mad from 2009-2013, bottom June2011. Going to start selling from 2017 to 2021. I’m a realtor in the Los Angeles area. I had just happened to be interested in population and financial trends for this year and stumbled across this article. Your predictions were spot on! I hear a lot of my colleagues claiming this as the “Year of the Seller” If you’re interested in selling some of your assets, I’d like to extend my services to you.